Thank you for visiting another one of Quality Auto Center's online listings! Please continue for more information on this 2016 Chevrolet Suburban LTZ with 100,266mi. 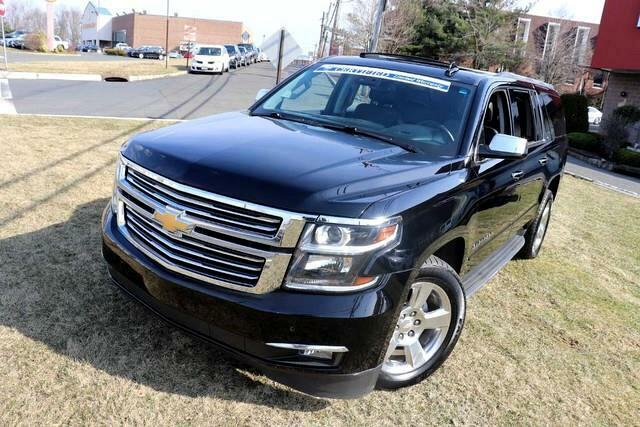 This Chevrolet Suburban LTZ is an incredibly versatile vehicle that is a must have for any family. You deserve a vehicle designed for higher expectations. This Chevrolet Suburban delivers with a luxurious, well-appointed interior and world-class engineering. This 4WD-equipped vehicle will handle beautifully on any terrain and in any weather condition your may find yourself in. The benefits of driving a 4 wheel drive vehicle, such as this Chevrolet Suburban LTZ, include superior acceleration, improved steering, and increased traction and stability. More information about the 2016 Chevrolet Suburban: The Suburban and Tahoe are by far the best-selling models in their class, and they're tough rivals for the Ford Expedition, Toyota Sequoia and Nissan Armada, among others. These two Chevy models are closely related in most ways--although there's a key difference: the Suburban is 14 inches longer in wheelbase and 20 inches longer overall than the Tahoe and that results in a significantly larger third-row seat than in the Tahoe--as well as easier access to it, and more cargo space. Compared to rival models, the Chevy Tahoe and Suburban still stand out for their good ride quality and efficient engines, and they handle surprisingly well considering their size and mass. They're also very rugged and versatile, and can be outfitted for off-road toughness, tow ability and interior luxury as needed. Chevrolet claims that the Suburban will be the most fuel-efficient model in the full-size SUV class, thanks to its standout combination of fuel-saving technologies like direct injection and active fuel management (cylinder deactivation). Although the profile of the Suburban and Tahoe haven't changed all that much, Chevy has managed to make significant improvements to aerodynamics. Yet chiseled sheetmetal and big, flamboyant wheels (up to 22 inches) help maintain a powerful look. This model sets itself apart with relatively fuel-efficient engines, towing ability, seating space, Much-improved interior, versatility and toughness, and comfortable, refined ride No Credit / Bad Credit / No Paystubs, No problem !! ! All Approved ! Everyone drives ! CLEAN, GORGEOUS, LOW MILES, SHOWROOM CONDITION. CALL NOW QUALITY CERTIFIED up to 10 YEARS 100,000 MILE WARRANTY , To Certify a vehicle, there will be an additional cost for Certification. CALL NOW For details. STUNNING AGGRESSIVE LOOK ON THIS BEAUTIFUL--Call today to schedule a test drive... Good Credit/Bad Credit/No problem!!!! Get paid cash? No problem!! 100% Credit Approval with interest rates starting at 2.49% for qualified customers, our rates will not be beaten. We price our cars at wholesale price to guarantee the best deals for our customers. Our inventory moves quick, please call to confirm the availability of the vehicle of your interest Springfield location 973-564-0112. This vehicle is located at our SPRINGFIELD location. Come visit our new showroom in Springfield NJ.